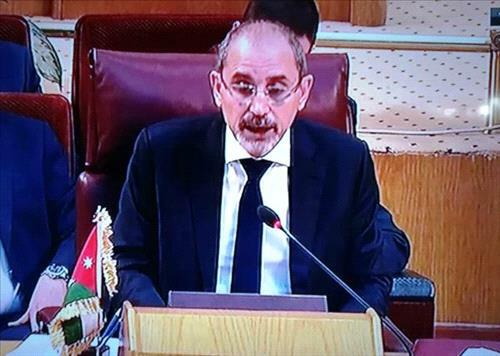 AMMONNEWS - The establishment of an independent Palestinian state in the territories is a prerequisite for a comprehensive peace in the middle East, said the foreign Minister of Jordan, Ayman Safadi at a meeting with ambassadors of member countries of the European Union. So, according to news Agency Petra, he called on the EU to officially recognize East Jerusalem as the capital of “Palestine” and to immediately establish an independent international Committee to investigate the deaths of Palestinians in the violence that erupted earlier this week on Israel’s border with the Gaza strip. Safadi told his interlocutors that the lack of international response to the incident will lead to a new wave of violence, which affected not only Europe but the entire world. Consequently, the stability of the middle East is the cornerstone of stability in the world. Such activities of the Israeli law enforcement agencies, according to the head of Jordanian diplomacy, leads to a weakening of the moderate currents and strengthening of extremism and terrorism. In this regard, he called on the international community to carry out “its ethical and legal responsibility” for the protection of the Palestinian people to Israel. The Minister reiterated Jordan’s position against the U.S. decision to recognize Jerusalem as the capital of Israel and open embassies in the Holy city. Stressing that it happened on the eve of the 70th anniversary of the “Nakba”.